Laid down, 7 September 1944, at Charleston Navy Yard, Charleston, S.C.
Decommissioned, 26 February 1946, at Terminal Island Navy Yard, San Pedro, CA. 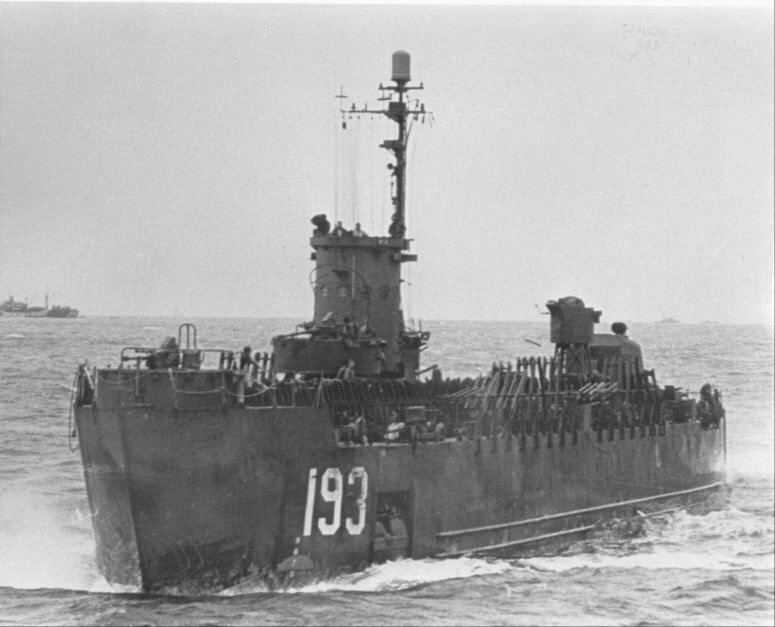 95k USS LSM(R)-193 underway, date and location unknown. She displays her rocket launchers. 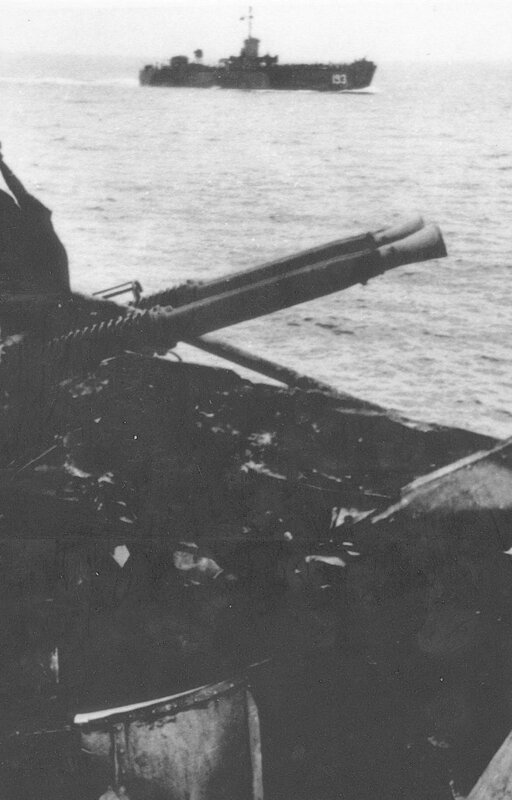 Outboard are six Mk 30 rocket launchers (rockets were loaded above and below each of three rails). 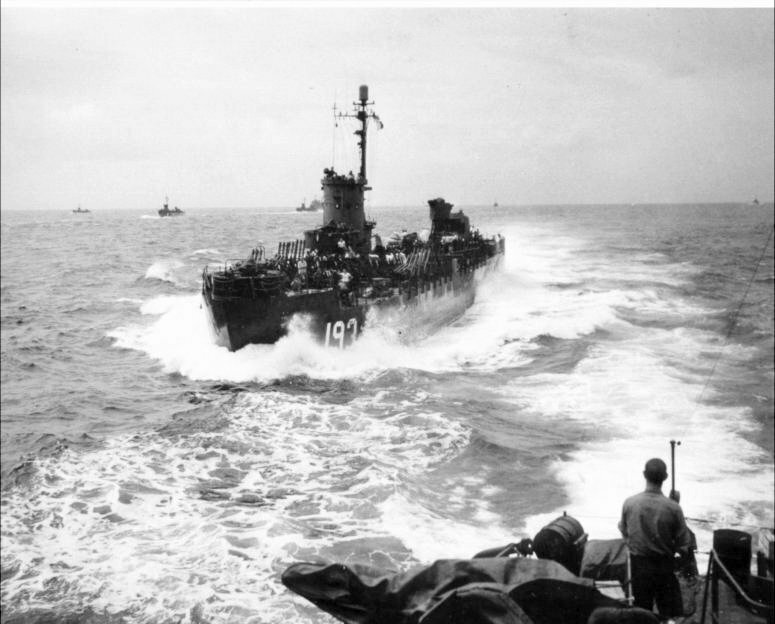 They swung inboard for loading, outboard for firing, and could be elevated manually at 5 degree intervals. At 17 degree elevation the 5" finned rocket had a range of 5,550 yds, Mk 36 inboard, consisted of four modified aircraft rocket launchers (Mk 4) at a fixed 45 degree angle of elevation. It also fired the 5" finned aircraft rocket. 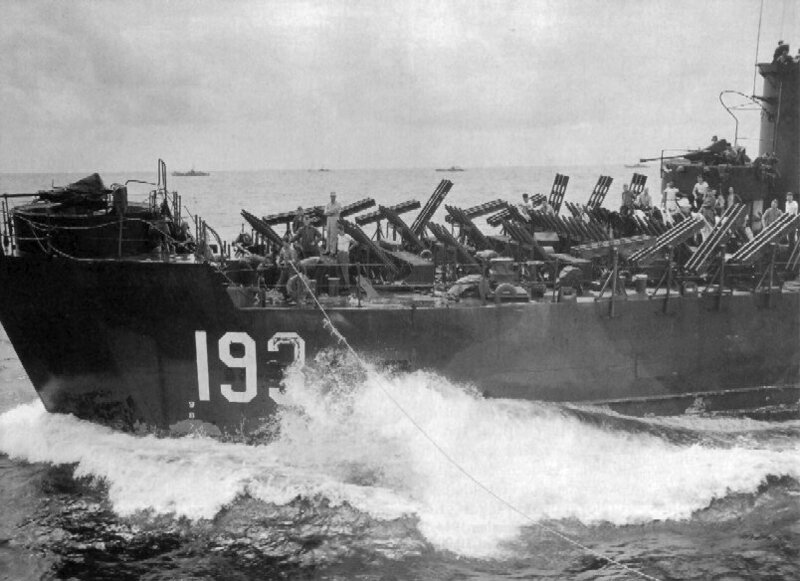 The history extract for USS LSM(R)-193 is from LSM-LSMR Amphibious Forces, Vol. II. Paducah, Kentucky: Turner Publishing Company, ©1997. (ISBN 1-56311-389-9).